What do the willingness to protect one another, problem solve together, and play together have to do with healthy relationships? According to the late Martin Groder, MD, they are the three requirements for creating and sustaining healthy relationships. When a couple experiences all three, they feel safely connected and share a deeply intimate bond. The three ways of interacting listed at the base of the intimacy hexagon form the foundation of a strong relationship. The are required for intimacy. The three ways of relating at the top of the hexagon are nice to have, but not required. They are nurturers, soulmates, and lovers. Couples can experience all three of these, yet, without the solid foundation protecting, problem solving, and playing, there is no real sense of safety, and therefore no real sense of intimacy and belonging. 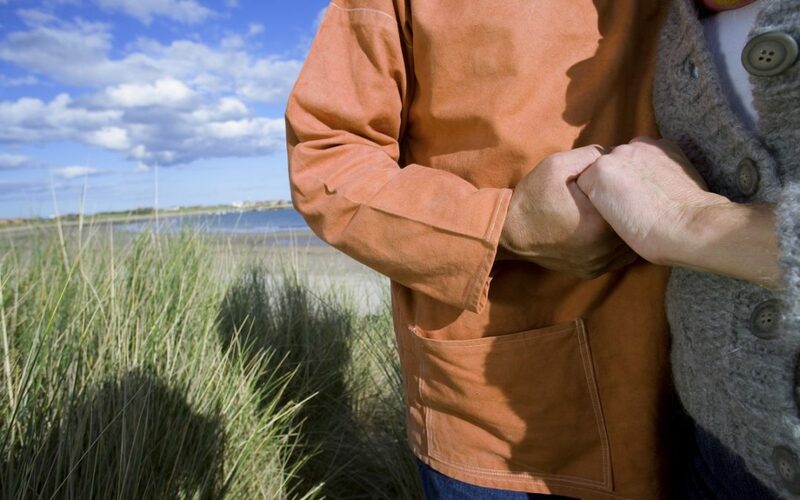 Couples must be willing to protect each other from themselves. Because couples spend so much time together, they know the buttons to push. Being mutual protectors really means “no hitting below the belt.” Partners who protect one another don’t exploit each other’s vulnerability and pain. No matter how upset they are, protecting couples continue to use their Parent ego-state to honor boundaries that protect their partner’s Child ego-state. A sense of safety is essential to sustaining healthy relationships. There seems to be a myth that “happy” couples don’t have problems. Wrong. Everybody encounters problems. They range from minor nuances that need to be dealt with to all-encompassing twists of fate that change the course of life. Couples need to be willing to explore and share their thinking to solve problems. Both couples have access to and can use their Adult ego-state to problem solve. To the extent that couples are not problem solving, they are discounting self, other, or reality, and thus perpetuating the problem. To the extent that couples are problem solving, they feel they can rely on one another as equal partners, thus helping to sustain healthy relationships. Play is essential to well-being. In fact, we have an entire circuit in our brain devoted to play. We don’t outgrow our need for play and downtime. The benefits of play for adults include decreased stress, increased connection, increased creativity, and more! Play invites us into our Child ego-state, where we feel our emotions and experience a deeper sense of connection and belonging. Couples that play together, really do stay together! As they engage in play, they invest in healthy relationships! Couples benefit from working together to build this foundation. It is possible. Often, fear and defenses are in the way. Historically, they are there for a good reason. After all, growing up, it wasn’t always safe to be vulnerable and open. One premise of redecision therapy is that we are born filled with joy and spontaneity. Gradually, we restrict ourselves to adapt to our parents. We learn over time to protect ourselves. Instead of being vulnerable and open, we put up defenses. I will protect you. I will use my thinking to problem solve with you. I will play and enjoy life with you. Ready to create a healthy relationship? 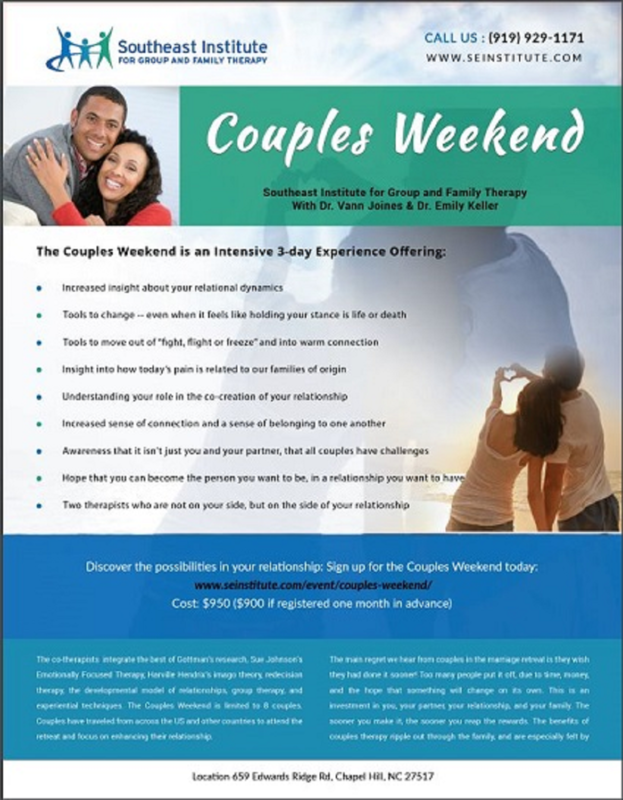 We invite you to join us for our Couples Weekend.